Over the past several months, following the discovery of Silk Road, I’ve been hearing a lot about Bitcoins, the online cryptocurrency. For those of you who don’t know what Silk Road is, long story short, an inconspicuous man named, Ross William Ulbricht, was arrested by the FBI in early October for allegedly running an illegal online marketplace which housed everything from hitmen to illegal drugs. According to reports, the marketplace is responsible for over $28 million in consumer transactions, the catch though, it’s all anonymous. If you are interested in this former underground cyber network, I encourage you to check out this synopsis by USA Today . Having been a pretty obscure and widespread news story, I feel as though a lot of people, including myself, don’t exactly know what a Bitcoin is. I did some research so I could make this digestible post for you all. A Bitcoin is not physical currency. It was created in 2009 by pseudonymous developer Satoshi Nakamoto, as an online and anonymous currency. It is not monitored or controlled by any federal entities, like the US Federal Reserve or the Federal Deposit Insurance Corporation, which means money invested in Bitcoin is at risk of being lost pending any major crashes in the volatile market. Since Bitcoins are only online, they are created or found, through a process called “mining” in which computer users attempt to solve mathematical algorithms related to the current number of Bitcoins. The actual number of Bitcoins to be in circulation is fixed. The Bitcoin Foundation claims that there can only be 21 million Bitcoins at a time; in circulation right now are about 12.3 million. Don’t take this post and run with this whole idea of mining for Bitcoins, though. The process takes up a large amount of space on a computer and special programs are utilized to complete the mining. Currently, Bitcoin is a legal monetary system. It is a viable alternative for some because of its privacy, much like cash, and because it is unregulated by the government, those cynics and independent ‘stick-it-to-the-man’ hipster types can truly be autonomous with their finances. Right now, Bitcoin is hot. 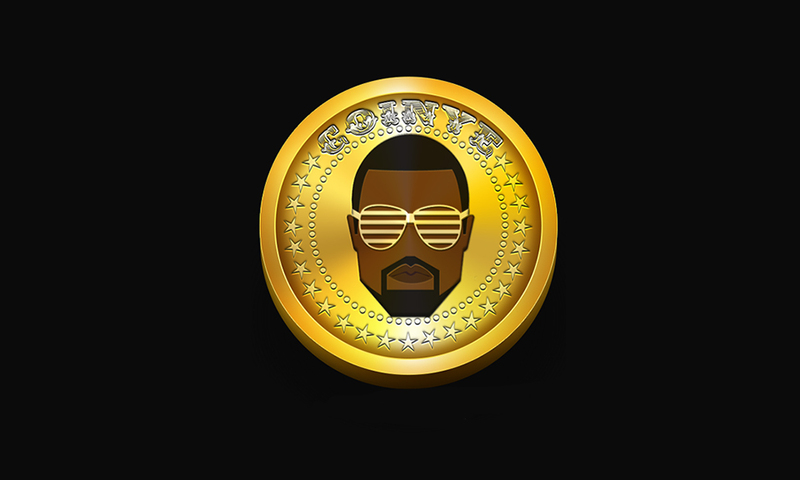 Just last month a new Bitcoin company created their form of crypto-currency around rapper, Kanye West, calling it CoinYe. Unfortunately, due to an ensuing legal battle with the rapper, Coinye has abandoned their project. As a bullish investor or as someone who is looking for a ‘get rich quick’ scheme, I can see the allure of Bitcoin. According to BlockChain , the market for Bitcoins was soaring over $900 USD until it took a tumble to a little over $500 earlier this month. These fluctuations are not unfamiliar in this market. You can see the graph how many spikes and dips occurred over the past couple of months. For now, Bitcoin is a mysterious novelty that continues to grow in popularity and infamy each and every day. As a young and prospective investor myself, I am wary of its volatility. Perhaps one day it can become a stable and consistently profitable market.